Tamale, Dec 11, GNA - Tension is mounting in Tamale following the death in military custody of Mr Issah Mobilla, the Northern Regional chairman of the Convention People's Party (CPP). The police searched Mr Mobilla, who is also the Ghana Private Road Transport Union (GPRTU) branch chairman of the Bolgatanga station in Tamale, on allegations that he had weapons. Family sources told the GNA that though the police did not find any weapons in Mr Mobilla's house, they handed him over to the military. 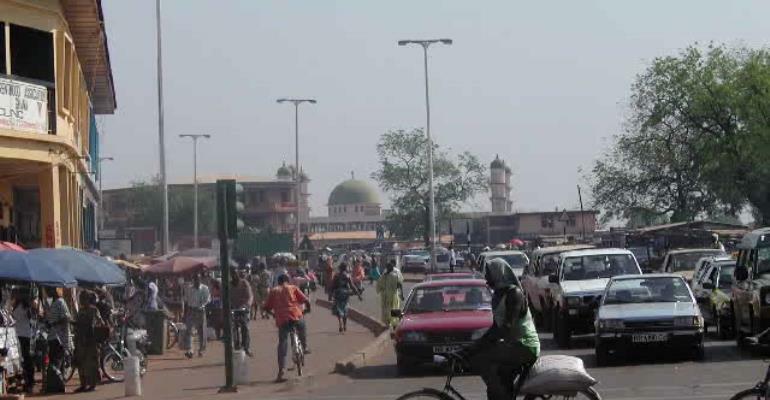 The principal streets of Tamale had been deserted, stores along the main road to Bolgatanga had been closed, the butchers shop at Sakasaka closed, all those selling on the shoulders of the road are absent while the main Tamale-Bolgatanga station is empty. People travelling outside the region are stranded because long distance vehicles are not operating. As at 1000 hours when the GNA visited the station only taxis plying within the metropolis were running. There were also indiscriminate shooting at Sakasaka, a suburb of Tamale throughout Wednesday night and Thursday morning but the security agencies brought the situation under control. Mr Ephriam Barakatu, the Northern Regional police commander, confirmed Mr Mobilla's death to newsmen but said he did not know the cause of his death. Asked as to why Mr Mobilla was handed over to the military, Mr Barakatu said the Northern Regional Security Committee (REGSEC) on Thursday issued a statement, directing those arrested in connection with lawlessness to be sent to the military.